Successful media pitching in public relations has always relied on the combination of a good idea, well-timed and well-packaged to offer up to appropriate journalists. Many times, however, the factor that turns a pitch into a pitch-perfect placement is chutzpah! A little bit of thoughtful “audacity” can often make the difference between a journalist ignoring or embracing your great idea. Examples abound, but here are a few worth learning from. Use influencers to close the sale. 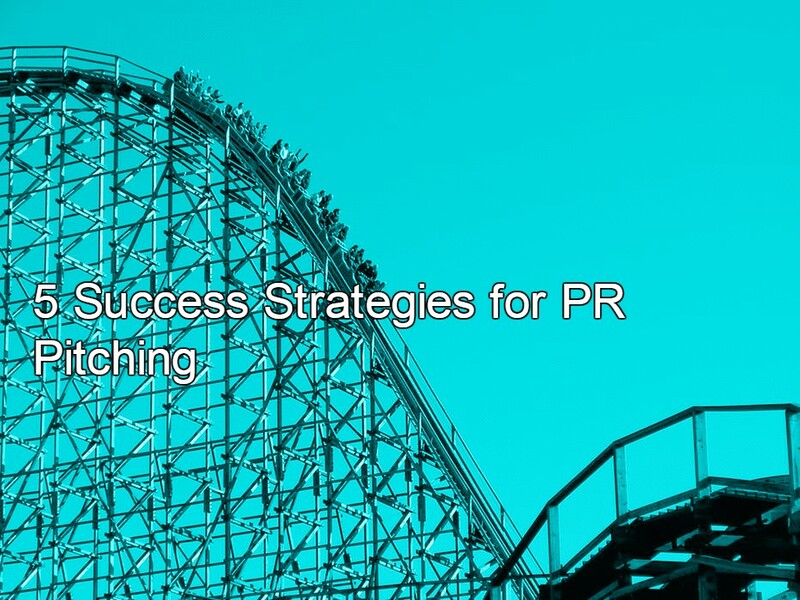 Influencer relationships are a must-have building block in PR today. But while the industry looks to them for social media clout and as on-point brand spokespeople, there are other ways to leverage these relationships. A great example shared by a colleague concerns a writer for a popular online tech site preparing a round-up of IoT home security devices. The writer had put out a request and the agency’s product seemed to fit, but after a pitch letter and sample, promptly declared the product a “me-too” and scrapped it from the story. But our intrepid PR pro wasn’t about to let that happen; she and the team offered some industry influencer input that emphasized the value of the device. It worked. The tone was light, friendly and helpful. We were told afterward that the low-key, no-pressure “here’s what some influencers are saying” actually helped the writer rethink the story. And a couple of the influencers have since become important assets for the writer, making it a win for everyone. Don’t accept a bad headline. It used to be that once a piece was published, the only way to correct misinformation was to write to an editor and hope to see a tiny notice a few days later. Not so in today’s digital publishing world. One example? A top tech trade decided to cover a company’s entry into the VR (virtual reality) space. Great, right? Not exactly. The title the writer chose was a bit negative and not reflective of the work the company was doing, and the client was unhappy. Sometimes that’s the end of the story; an editor has made a decision, and it’s final. But we have found that, if you make a strong case, armed with objective data, an editor will listen. And, in this instance, within an hour of the original posting, the editor changed the title to better frame the announcement. The real lesson is one that applies to all business relationships, but in particular, those with journalists. Start off smart and transparent and stay that way. A journalist who respects what you do and trusts you is much more apt to pay serious attention to your concerns and recommendations where an editorial decision is concerned. Don’t discount the last-minute opportunity. Recently we were pitching a digital wine start-up to an important broadcast outlet. The producer was keen but booked very far in advance. We followed up often with fresh ideas, always adding that our spokesperson was local and could be available on a moment’s notice. We particularly played up how easily we could fill in if the show experienced a cancellation. Now, this is not a strategy one can bank on, but it did endear us to the producer who, lo and behold, emailed one evening to see if our spokesperson could pinch hit early the next morning. And, we were all prepared and made the segment a successful one. Leave databases in the dust. Cision and other online tools are a great place to start when it comes to creating a targeted media list. But they can be fraught with inaccuracies and woefully out of date. We like to use them to make sure we have an accounting of all the outlets needed for outreach, but not for contact information. For example, in a recent effort, we needed the precise producer for a host on a food show. After Cision was a bust and Google provided little, we simply called (yes, called!) the show and very nicely requested the information. Even though some outlets guard this information as if it were a state secret, polite persistence will win the day. Another example? Cision sometimes lists personal information for contacts that includes “not a PR contact,” meaning don’t pitch this person. We say, ignore this information with a couple of caveats. Read the writer’s work and understand their interests. Tailor the pitch that way, and wonderful things can happen. The same applies when a capsule contact bio says “do not call.” If a PR strategist knows the idea will appeal to a journalist but just can’t get to them any other way, the phone call can work. Like most people, journalists appreciate when someone goes the extra mile to get to know them beyond their work. We once pitched a medical device to an on-air doctor who we knew suffered from chronic back pain. This personalized effort resulted in a great story touting the device’s benefits. We did the same when, based on little more than a tweet, we reached out to a newscaster who had realized the benefits of a weight loss program. From this simple, yet personalized outreach, we scored an appearance by the program’s founder. And, most recently, we researched to determine favorite causes of some key journalists and successfully secured a couple of them for a not-for-profit wine initiative. Who could say no to that?